Need to talk to someone about your application? Confirmation of dates/times and details of further Drop-in Sessions and Open Days will be posted here once finalised. Although it does help us to know (by email) if you are coming to a ‘Drop-in’ session, there’s no need to book a slot (only for ‘Open Days’) so please just turn up at the school’s or centre’s Reception and we’ll be on hand to help you with any queries you may have regarding schools-based teacher training or making an application etc. 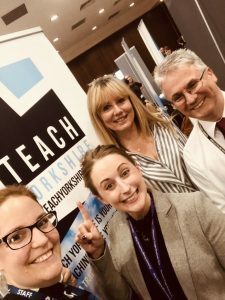 Also look out for other posts with details of the DfE (Department for Education) ‘Train to Teach Roadshows’ taking place in the Region (Doncaster’s was on 13th March 2019!) 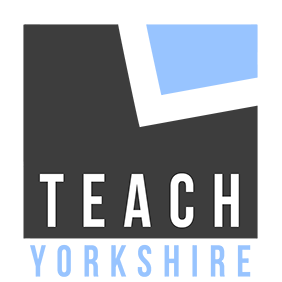 and our own ‘Teach Yorkshire’ Events, which are held in Sheffield, Rotherham, Doncaster & Barnsley . Previous PostSkills Tests – How NOT to fail them! Hi, I am interested in attending the 29th March Open Day however I believe your dates are wrong. You have advertised 29th being a Thursday when infact it is a Wednesday. Please can you confirm if your open day is on WED 29th or THURS 30th. Yes, sorry Abbey, it is the 29th so Wednesday, not Thursday. We’ve corrected it on our site now. We look forward to seeing you at Ridgewood School on Weds 29th. 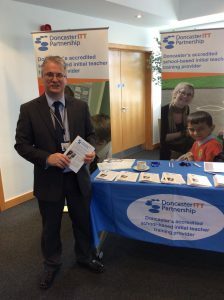 Lucy – We still need to confirm venues with Partner schools, but we do now have a Train to Teach event being hosted by the NCTL in Doncaster on Thu 11th May, so could meet with you then if you can attend? – Go to: Get into teaching – Teaching Event Doncaster for details. Alternatively, please feel free to ring us: (01302) 7373046 or email: ittpartnership@doncaster.gov.uk and we’ll be happy to discuss your application. If not, we hope to be able to confirm ‘drop-in’ dates by the end of this week, now that schools are back from the Easter holiday. We look forward to speaking to you or meeting you soon. Great – we’ll see you there! Hi I’d like to come along to the Open Day on Tuesday 23rd January 2018. 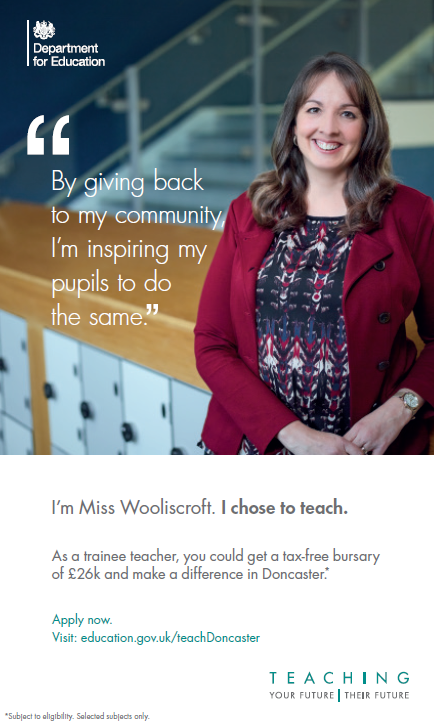 Hello Joanne – we’ll be there from 9am to 12pm, so please drop-in whenever’s best for you and we look forward to seeing you at the McAuley School next week. Is there any events for 2019? Yes we’re currently promoting two further dates in April (2nd & 30th) and we will post details of other days after Easter, once agreed with schools. Please see details in our ‘Drop-in’ sessions in Doncaster blog post.